Beautiful setting and very friendly staff. Easy excessable and good rates. Beautiful place. Marvelous staff. Delicious breakfast. My favourite place in Knysna! Best views, best staff, best everything! Felt very comfortable and very out in nature at the same time. Can't wait to return to Knysna to stay here again. The staff are amazing! Beds super comfortable, atmosphere perfect! I will be coming again and again and again...I highly recommend Oyster Creek Lodge! Gerhard and his staff will NOT disappoint you!!! Oyster creek lodge was our first stop on our honeymoon, and what a fantastic way to start off. We were welcomed with champagne and well wishes for our marriage. 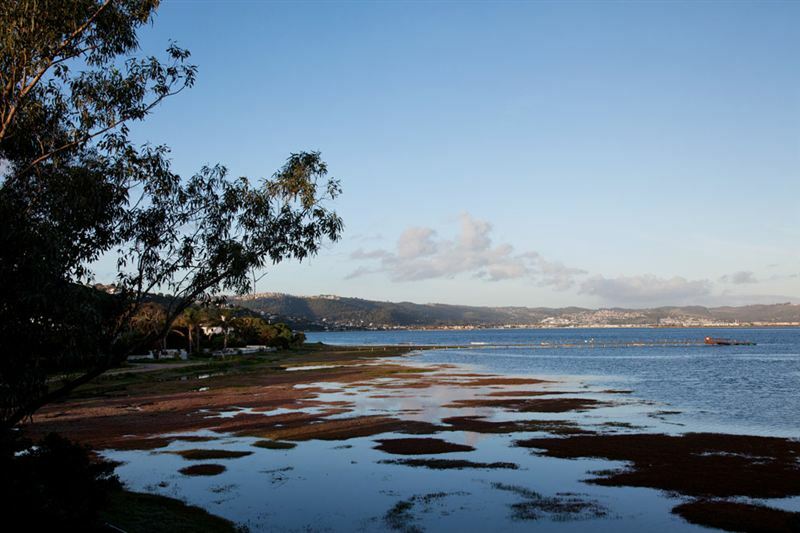 The venue sports breathtaking views of the lagoon, a sincere and caring host and is conveniently located to explore all Knysna has to offer. We will definitely return. Thank you! 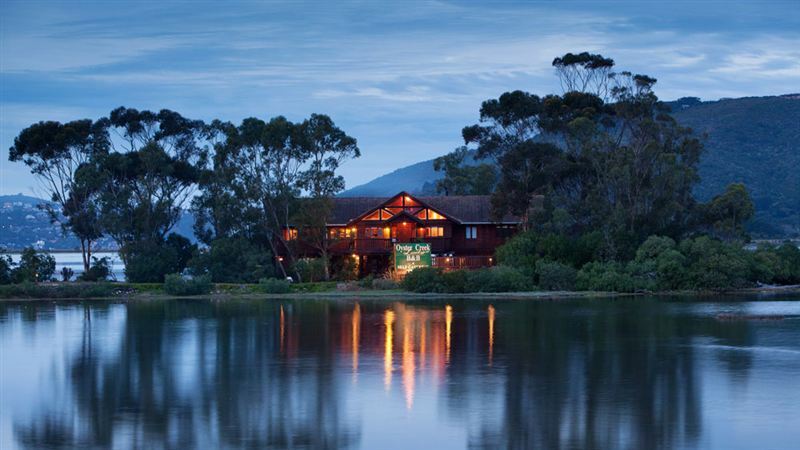 It is situated on the lagoon with quiet surroundings of nature, birds and a lovely calming atmosphere. The breakfast is a must!!! Great service to. Great view. We stayed in the luxury suite. The room was lovely and the breakfast was great. The manager was helpful and friendly. We will visit again. 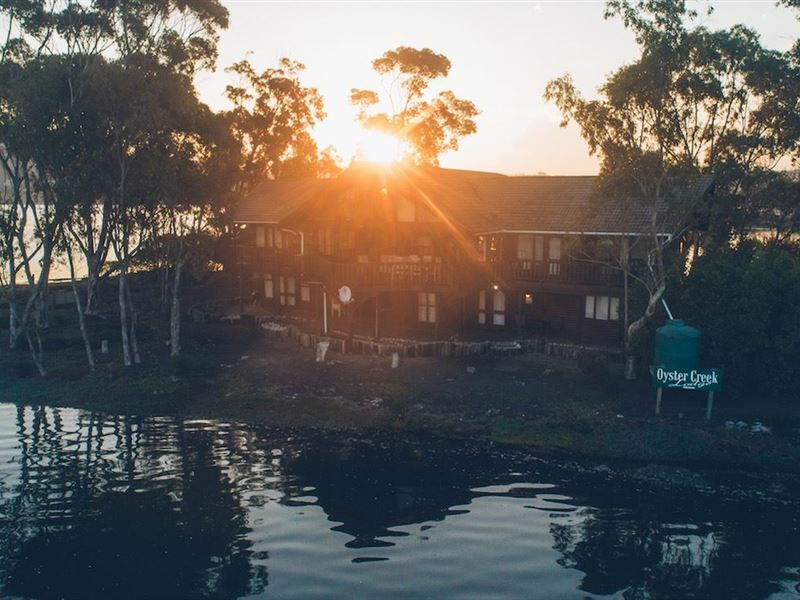 Situated on the water's edge of the Knysna Estuary this lovely accommodation establishment has some of the best views in Knysna including a brilliant sunset spot! Super friendly staff and everything you need is right here. "Wish we could come back... V soon !!" Request a quote from Oyster Creek Lodge at no obligation.